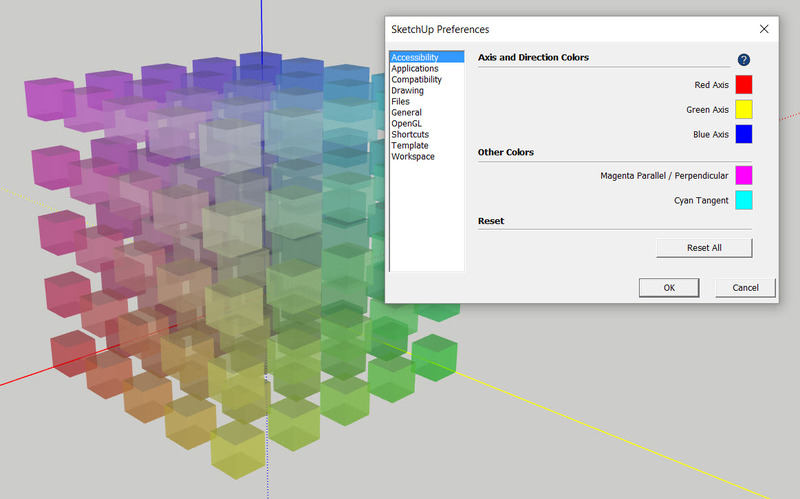 Home » News Blog » SketchUp 2017 is out. And it’s looking great! The modeling environment is now DPI-aware. This means that on a high-resolution screen, everything from lines to tool cursors now scales with the set resolution. You can see this already in the image below where the axis lines are now thicker (and oh, so much smoother!). Pick targets (little circles under the cursors) are now larger, too. That means that someone like me who uses a high DPI display and has glasses is extremely happy that there is much less guesswork in what I am actually selecting while modeling. Transparency has been improved. This affects the popular X-ray face style, which always comes in handy when you need to find something that’s behind something else. 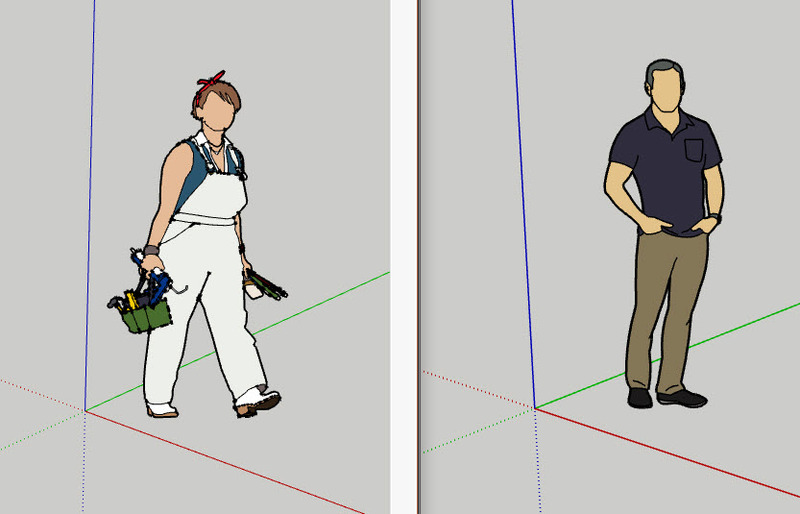 There are other improvements in SketchUp as well, such as the new Extension Manager. As you can see in the image below, this tool is now much more user-friendly and integrated. 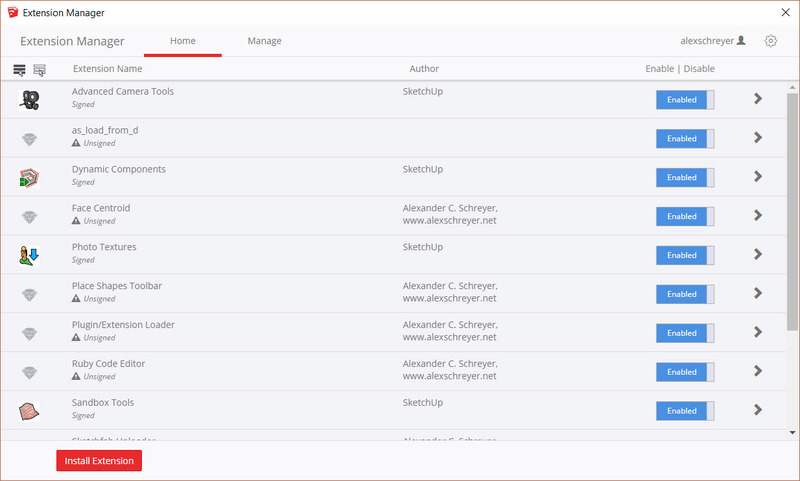 It also replaces the plain preferences tab’s functionality (which has been removed in this release). There are also two new inferences: perpendicular to plane and component origin (useful for placing objects) and the offset tool has been improved (by removing self-overlaps). And finally, the rectangle tool now allows for arrow-key direction locking. Behind the scenes, there are some Ruby upgrades that I can’t wait to try out: Ruby 2.2 and – drumroll – a consistent web dialog framework based on Chromium. This should finally make dialogs appear consistently on Macs and Windows. Some of the biggest improvements have been reserved for LayOut, however. It now sports a new table tool and a feature that allows for better updating of linked geometry (because now all items in SketchUp have unique IDs). Oh, and did I mention that DWG export has been updated? Check out all of the new features in the video below and the pages linked under it. Best of course if you just downloaded SketchUp 2017 and tried everything out for yourself.